If you have experienced negligent service from a solicitor, you will be feeling frustrated, annoyed and possibly worried about the consequences. If you are currently in this position, you need specialist solicitor negligence lawyers to advise you of your rights on a "No win no fee" basis. This is exactly what we will do for you at Matthew Wilkinson Solicitors. 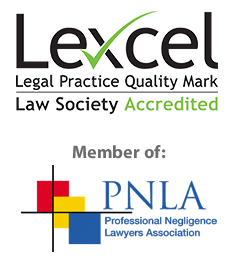 We specialise in solicitor negligence no win no fee claims. Simply call us now 0800 043 9981 or dial 0333 577 0172 if calling from a mobile or complete a Free Online Enquiry and let us explain your legal rights and options. When it comes to paying for legal fees and instructing solicitors to pursue claims on your behalf it can be stressful and expensive but with us we make everything as affordable as possible. This is why we offer a free enquiry to start with which will allow you to discuss your current situation with us, ask any questions or address any concerns that you may have without any obligation to move forward. We offer everyone a free assessment over the telephone or via email and will even give you advice there and then if we can! Moving on from that if your claim is good enough we’ll give you no win no fee funding – so you only pay solicitor fees if you make a successful claim and most of your costs can be recovered from the losing party! If you require funding for your case we will be pleased to assess it for No Win No Fee funding. The assessment takes account of the merits and risks of the case. We will carry out this initial assessment without any charge to you. No Win No fee funding allows you to proceed with your case knowing that you do not have to fund our fees for the work we do on the case all the way through to Trial. We also agree not to charge you at all if your claim is unsuccessful. In return for not getting paid unless and until your case is won we receive a success fee at the end of the case( in addition to our normal fees known as base costs ) and is payable out of your compensation. The success fee is a percentage of our base costs and in order to provide certainty for you as to the amount of any deductions from your damages it will be capped as a percentage of your compensation. This means that we will agree a maximum proportion of damages which can be deducted in respect of our Success fee. The proportion will depend upon the value and merits of your case. Once we have agreed to provide this funding we do not charge any upfront fees as other companies do because we have faith in our experience and knowledge that we will get you the successful outcome that you desire and deserve. You will only pay our fees if we win and get the settlement and positive outcome that you are looking for and most of our base costs should be recoverable from your opponent too. With this form of funding we advise you to take out After the Event Insurance to cover the risk of losing and having to pay the other side’s costs. The insurance premium is no longer recoverable from your opponent and this means that our expertise and experience is very important in obtaining affordable premium quotations and in advising you on insurance issues including the terms of any policy offered and the timing of obtaining insurance cover. The latter point is important because a balance has to be struck between obtaining insurance early enough to give you the security required and the benefit of any cheaper premiums compared to the absence of any risk to cover by insurance until proceedings are issued and served. If a case settles before the issue and service of proceedings and you have obtained the comfort and security of an early insurance policy you would still have to pay the premium from your compensation even though the insurance company had never been at risk. The terms of any insurance quotation including as to any discounts in the premium for settlement prior to proceedings must be considered carefully before making any decision. We have access to many Insurers through specialist brokers and can arrange this for you. Under current funding rules most of your base costs will be recovered if you win and if you lose the Defendant’s costs would be covered by any After the Event Insurance policy taken out by you. We do not get any fees if you lose and the Insurance Premiums are often deferred and self insuring so in that case you would not have to pay them if you lose. If your case is not immediately suitable for Solicitor Neglignece No Win No Fee funding we will review this once further information is available so may still be able to offer no win no fee funding to you. “Very good. You took a risk as it was such short notice and we never met it was a long distance relationship but a successful one.